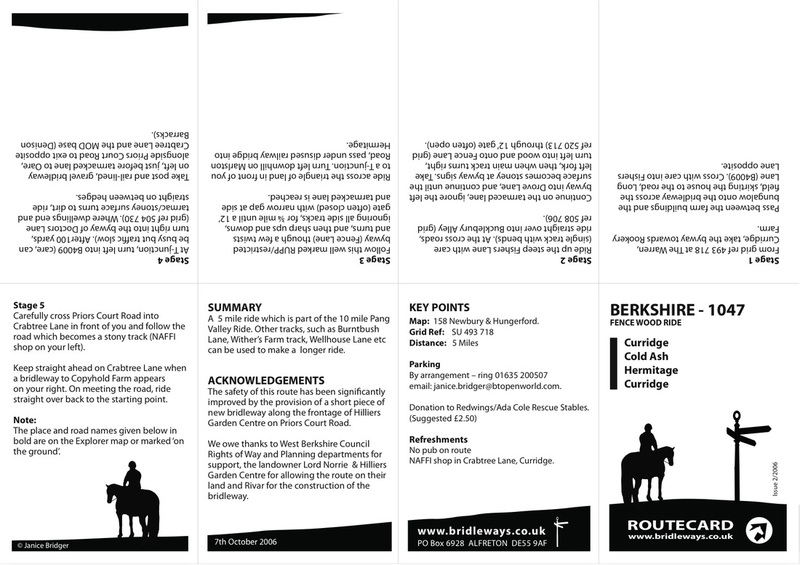 Curridge has a network of bridleways and byways which can be connected together to form rides with little need to use roads. 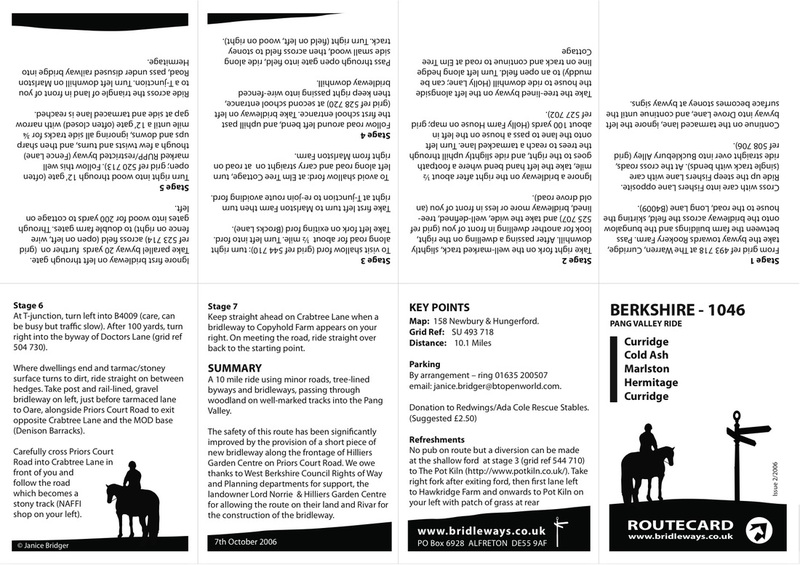 For those who wish to explore farther afield, click to view the Fence Wood ride, the Pang valley ride, the Chieveley Community Circuit. 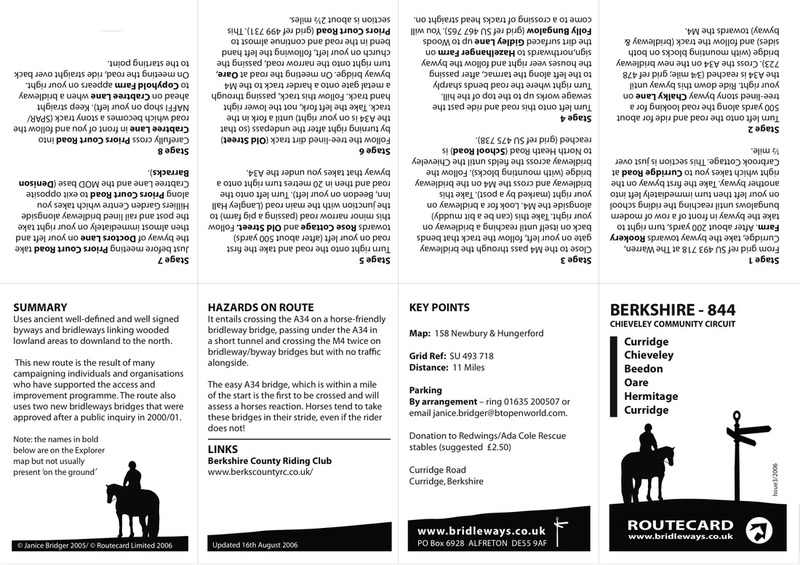 These routes can also be legally used by cyclists & walkers. The Ordnance Survey Explorer 158 Newbury and Hungerford 1:25,000 map covers this area.